I thought it was time to start a thread for all things P37/Pattern 37. Although this has been done many times on many different forums, I'm hoping to get good participation from anyone who is interested in showing some canvas to the masses. My first piece/s of p37 web was a pair of gaiters that I got from my Grandfather when I was about 4 years old. I had no clue what it was used for, or what it was for that matter. I played with them for a while then they were forgotten for around eleven years when they resurfaced while cleaning out my fathers quonset after he passed away. In the meantime I did acquire a few odd bits of webbing here and there from my fathers auction sale buys over the years, but never really knew how it all worked together. The belt was probably the easiest thing to figure out. Anyways, since then I've been researching p37 webbing when I could, and completed my first basic marching order when I was 17. I wanted to learn all I could even though the CF did not use this kind of webbing anymore. I was planning on signing up for the army out of high school but a serious accident ended those plans for me. So instead, I've been collecting it ever since...along with a lot of other things. But enough about my boring life, time to get to the good stuff. I now would like to announce the kick-off of the CMCF P37 Webbing thread! Instead of my horrid explanations of everything, I am posting these scans of the original P37 booklet used by the Army. Saves typing as well! This booklet covers the basic parts of the P37 system. There are of course many, many other obscure parts and pieces not mentioned. If I can locate better or more updated scans in the near future I will post them instead of these. These ones kind of give you a headache trying to read them. Found this rather interesting chart recently...gives an idea of length of use and codes affiliated with the webbing. Could be a useful reference. Will have to be opened in another window since the chart is rather large. Would it be possible to get that chart emailed to me? I don't seem to be able to get the image large enough to read it without it becoming too grainy and it looks like it might be interesting. Infanteer90 wrote: Would it be possible to get that chart emailed to me? I don't seem to be able to get the image large enough to read it without it becoming too grainy and it looks like it might be interesting. Actually, I recently saw the same chart on karkee web. I got it from a blog with permission to use it. Now that I see that it's karkee webs chart it's best if we look at it there. Don't want to step on any toes. Good informative site too. It's been a part of the Canadian ww2 collecting that i really like (not that i have a lot of them now .) i got myself a little book on the subject British Wb equipment of the 2 world wars and that 's made me started . Thanks for the link (Karkeeweb) very helpful site . 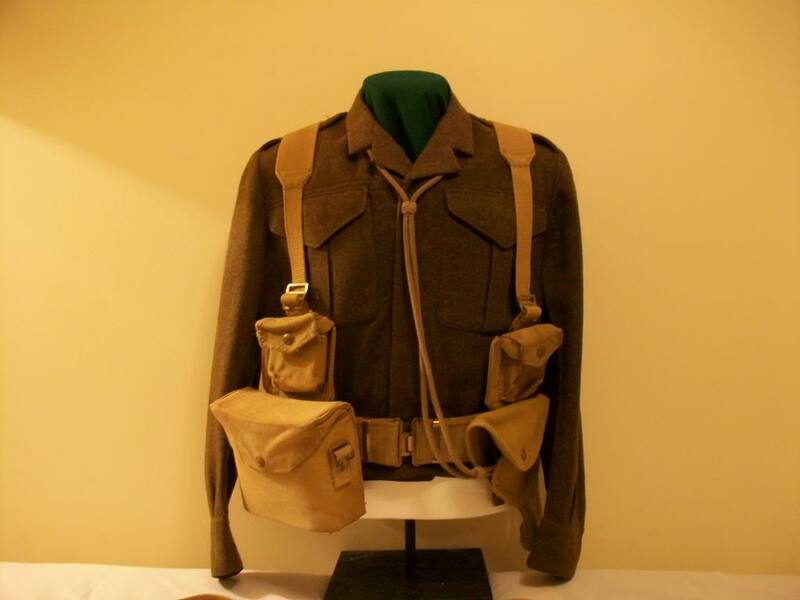 here is a pic of my first item it was a part of a grouping to a soldier named Stan Mckee he went in italy . as i look better i realise the part are not matching i guess they took whatever they could find to equip the troop at the end of the war . I came across this thread and thought it could use some reviving. 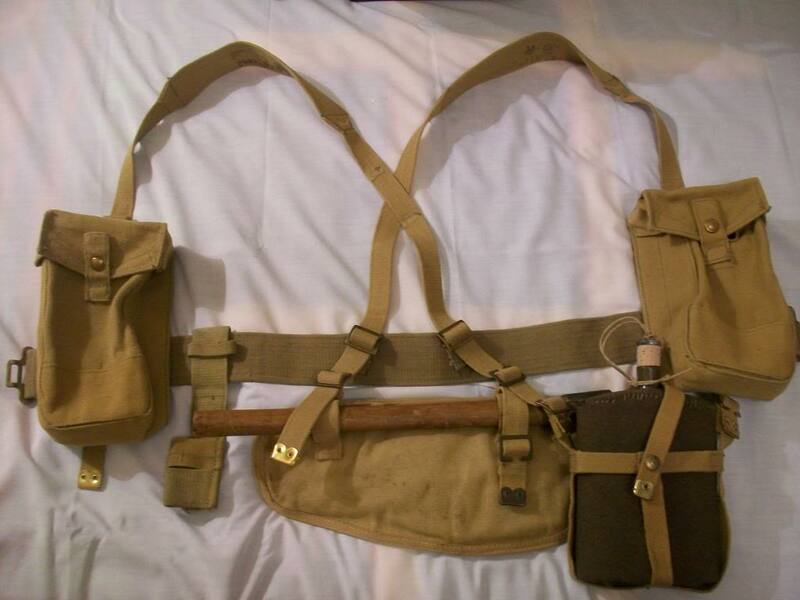 Heres a basic set of Canadian patt 37 webbing (except belt is british) minus small pack. Nice web set! The belts are fairly hard to find at a decent price now... It is a shame this thread is dead I would love to see some more Canadian Patt 37!! I'll see what I can dig up and post some more pics. Sounds good!! I will see what Canadian Patt 37 I have laying around here as well... Maybe we can revive this thread and get some people interested in it. It is a Canadian collectors forum after all isn't it? 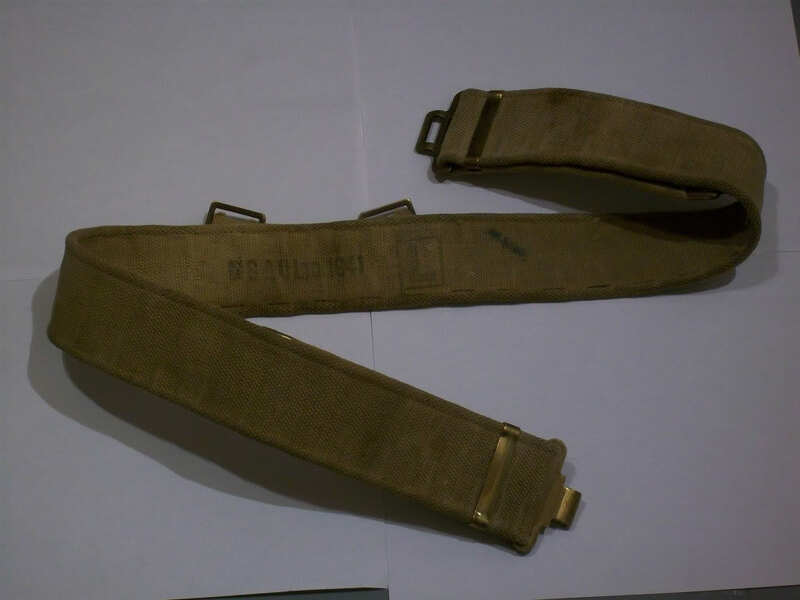 Heres a pic of a large size Canadian patt 37 belt. Officers set, all Canadian all war time dated. Sadly I'm still missing the officers valise pack but on day I'll come across one of those. I own several. Here are a few images of one. Nice example, I'm sure theres on some where with my name on it. 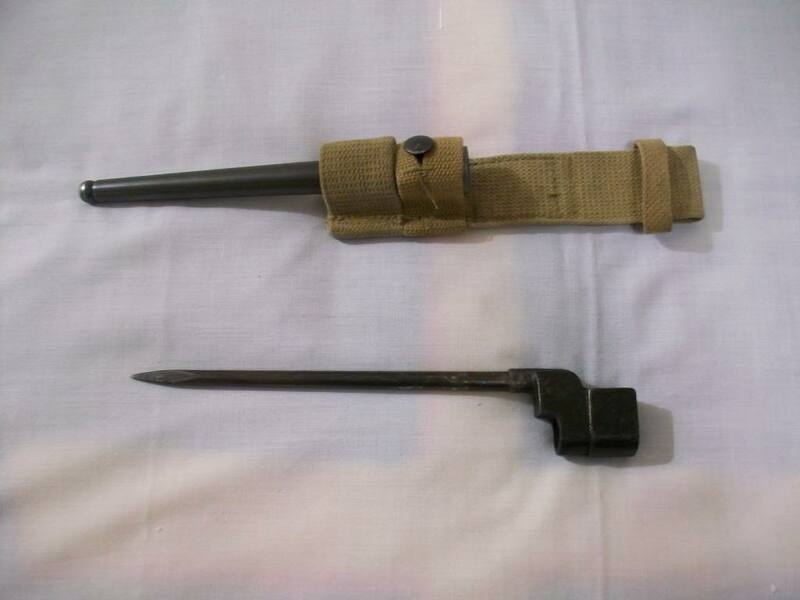 Canadian pattern 37 bayonet frog with No4 bayonet. 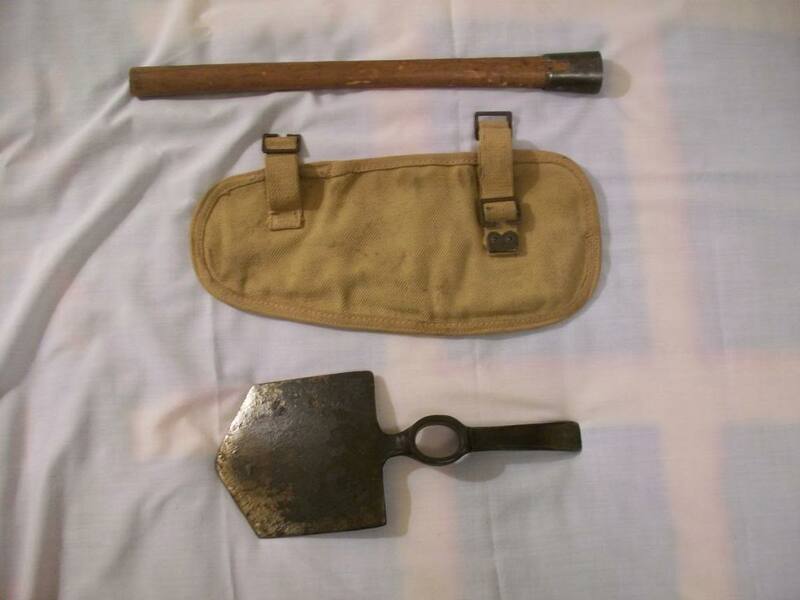 Canadian Pattern 37 entrenching tool carrier, and Patter 08 entrenching tool. They show up from time to time. 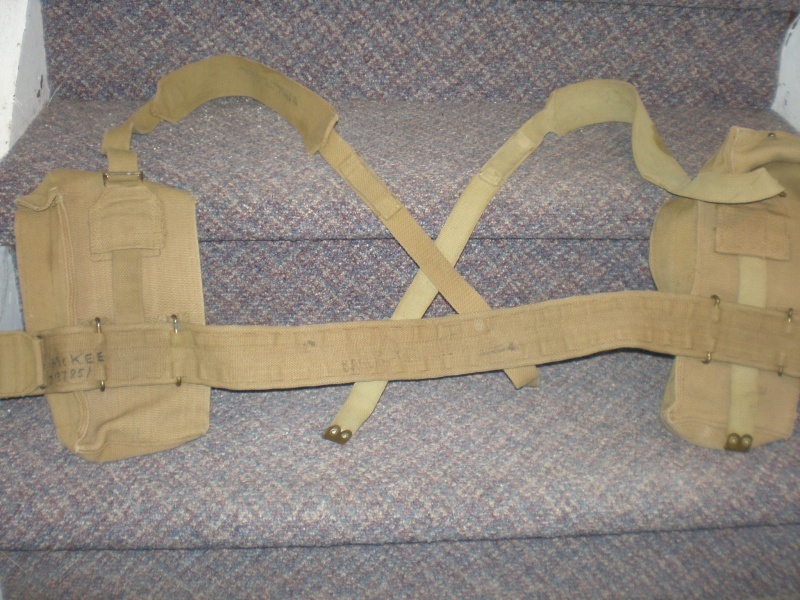 Yes Ed's right, Canadian pistol ammo pouches are fairly easy to come by. 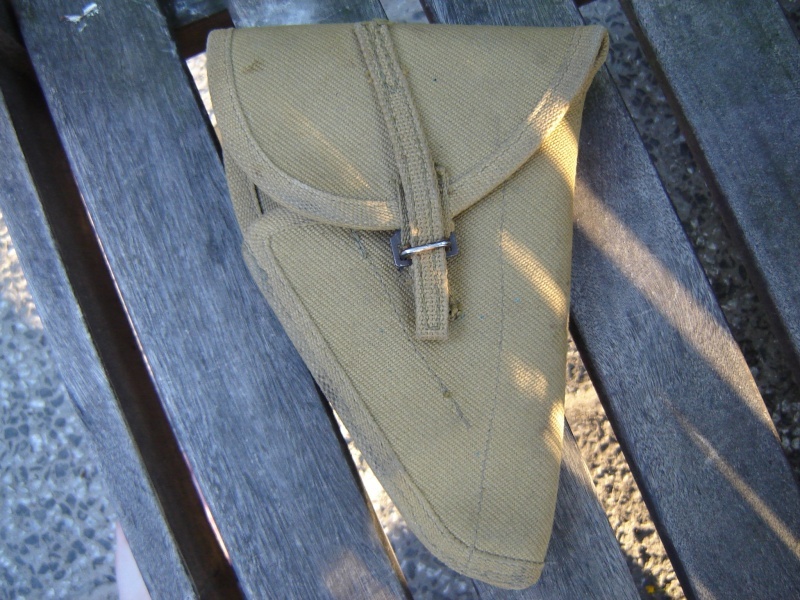 Now the compass pouch that can be a different story. Nice to see some Canadian revolver ammo too Ed!! Thanks for sharing!! 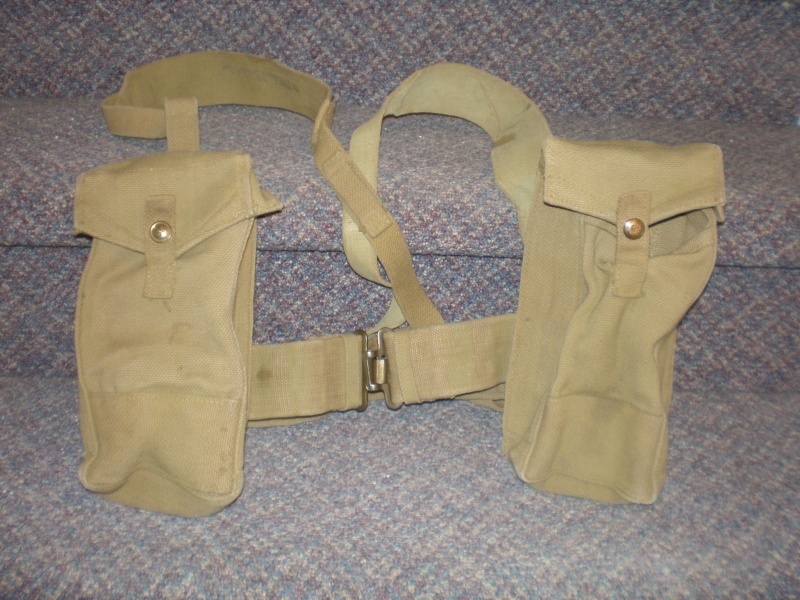 To go with the ammo pouch: Inglis holster. Nice holster LSR, I need to add one of these to the collection. 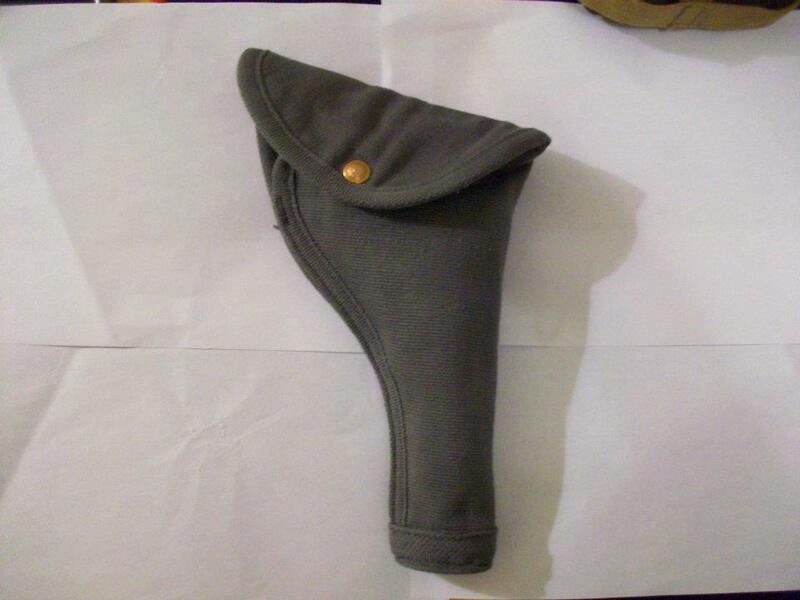 Heres a large frame revolver holster in R.C.A.F blue/grey. I've alawys been really interested in patt 37 R.C.A.F webbing but it doesn't seem to be as common as regulare patt 37 webbing. I've been trying to assemble a basic set and officers set for awhile now and I still have a long way to go.